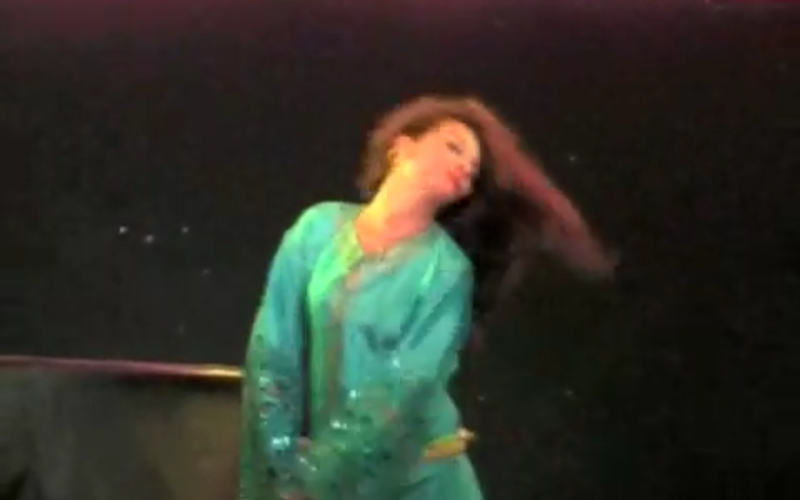 This type of Moroccan dance is called Shaabi (Popular) dance. There are a lot of variations, and this type is called the horse dance as can be seen in the move at the end of the clip which is absolutely wondereful. I love it! She is wearing a Takchita, which is a morrocan dress that is quite pretty.